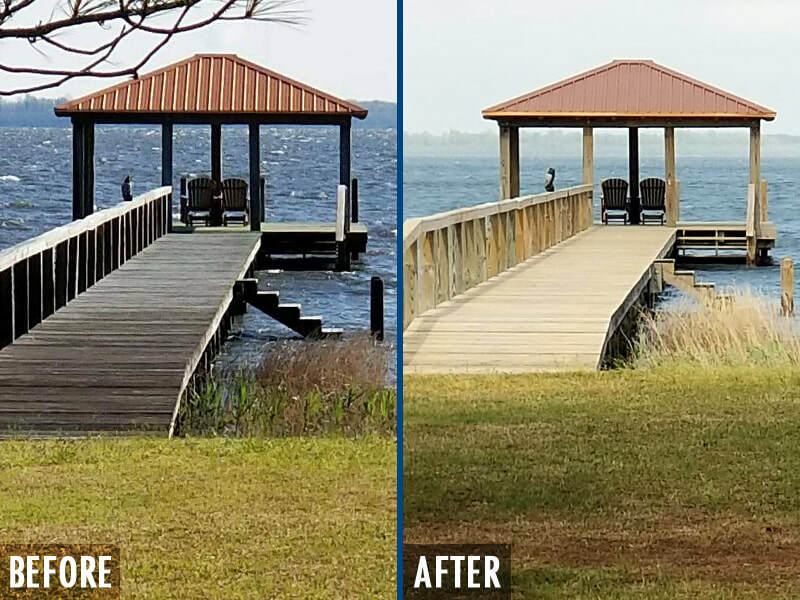 Sawyer Home Services provides high-quality pressure washing, as well as deck and fence staining and restoration. We have more than ten years of experience serving residential and commercial clients. Our coverage area spans Central and Eastern North Carolina as well as Southeastern Virginia. We are family operated and committed to making an extra effort for our clients. We take pride in our work and ensure each job is done correctly. We are honest, trustworthy, and will always show up when we say we will. Too many contractors don't value their client's time or money. Client satisfaction is our number one priority. With Sawyer Home Services you can have confidence that you will be pleased with the end result. Don't just get the job done; get the job done right! Please complete the form below for more information or to request your FREE estimate.